What Leon has given us is a song cycle that eloquently elaborates the daily vicissitudes of his fulfilled dream of popstardom. While the 8 1/2 motif is hardly new to rock, no one, with the exception of the Dylan of Blonde On Blonde, has captured the ambivalence inherent to the pop hero's situation any more sagaciously or incisively than Russell. Carney (carnival barker) is certainly Leon's most gentle and personal statement, in which even the hardest rocker ("Roller Derby") seems tame when compared to earlier efforts like "Roll Away the Stone" or "Pisces Apple Lady." Like "8 1/2," the record is as much a view of one small, often ugly corner of contemporary society as it is an interior monologue. Leon touches upon a first love lost to junk ("Me And Baby Jane"), prying grafters from a certain prominent periodical ("If the Shoe Fits"), a pasquinade that sounds like an Asylum Choir number and confusion over whether or not the show must, indeed, go on ("Tightrope"). Leon's marble-mouthed, drawling vocals are a joy throughout, which comes as quite a treat to one who thoroughly detested much of his previous caterwauling (such as his Godawful mistreatment of George Harrison's "Beware Of Darkness"). He renders selections like "Tightrope" and the double-tracked vocal on "Out In The Woods" with just the right amount of tension and "Manhattan Island Serenade" and "This Masquerade" (a lovely melody whose tonic is the same as the Matt Dennis-Earl Brent chestnut, "Angel Eyes") with unabashed, yet understated tenderness. There is none of the cloying quality in Russell's voice and phrasing that somewhat marred his delicate "A Song For You," which was on the first solo album and is the most poignant lyric he has penned to date. 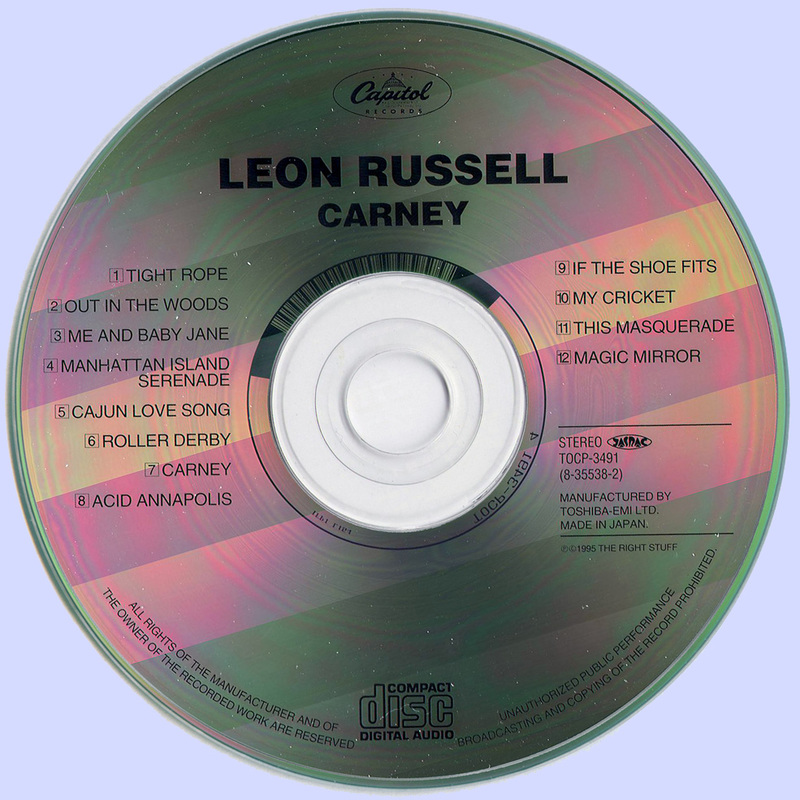 The production is hardly lavish, considering Leon's penchant for doing the large-scale gospel-influenced numbers, and the instrumental backing by this Shelter people troupe (which might be considered to be Russell's repertory company) is superbly subtle, especially John Gallie's organ work. 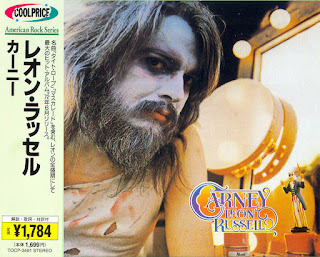 Like Fellini's Guido, Leon Russell will continue to partake in "the lonely game" he plays because it is his lifeblood, not to mention that he has managed to play it with consummate skill and shrewdness. Perhaps Carney is no more than another cool calculation on the part of its creator, but one comes away from the album secure in the knowledge that Leon is capable of exuding more wit, charm and candor than almost anyone else working in his medium.